We’re the HR company that dares to be different. From recruiting to organizational development, our team brings its passion for human resources exclusively to the world of startups and its unique set of challenges. In contrast to other HR firms, we are ready to work with you from the earliest stages of your startup. To do this, we reinvented HR services towards a lean, candidate-centric and collaborative approach. To grow healthily, there is always more than recruitment to take care of. It´s about strategy, personal development, change management, employer branding and data management. All of these are pieces of the incredibly difficult puzzle called – building a winning team. 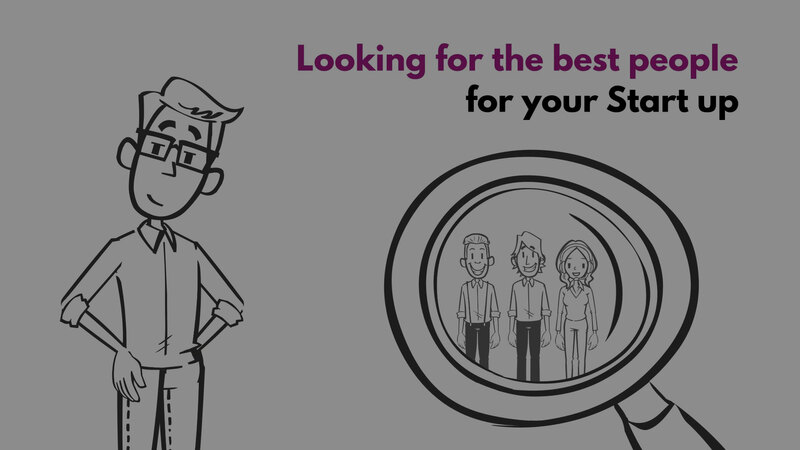 We invest our time and effort in long-term relationships to help you from building up your HR processes and finding the right candidates for your team, to revealing and developing your strengths as an individual as well as a company. We are here to go this extra mile together with you and to support your ongoing growth story! As a startup insider, we speak startup and bring the network of startup founders to the table. We are the only one on the market who can provide you with the full list of exciting startup jobs. We will never be able to understand people’s personalities, but thanks to the potential analysis we are able to find patterns to bring this data into your company to support developing talents. On our journey, we collected lots of success stories. Through putting heroes in the right positions, we managed to scale up 15 startups through HraaS and helped them to place over 100 positions. Our everyday goal at Speedinvest Heroes is to support startup founders in all HR related matters and in their quest to build healthy companies, with strong teams. To do so, we add value to our partners´ portfolio startups: Speedinvest, UNIQA Ventures, Hansi Hansmann and Markus Ertler as well as to external startups through our HR know-how.